Have you ever reacted to organizational change by rolling your eyes and quietly saying to yourself, “Here we go again”? Or by not so quietly telling others, “Haven’t we tried this before?”? Changes at work can be emotionally intense, sparking confusion, fear, anxiety, frustration, and helplessness. Experts have even said that the experience of going through change at work can mimic that of people who are suffering from grief over the loss of a loved one. Because change can be so physically and emotionally draining, it often leads to burnout and puts into motion an insidious cycle that leads to even greater resistance to change. No one wants to be an obstacle to change, instinctively resisting any new initiatives or efforts. It’s not good for you, your career, or your organization. Improving your adaptability, a critical emotional intelligence competency, is key to breaking this cycle. Fortunately, this is a skill that can be learned. In fact, in our work as coaches, it’s often a priority for our clients. They’re tired of feeling frustrated and angry about changes at work, and they want to be seen as adaptable rather than resistant. Identify the source of your resistance. Understanding the underlying reasons for your resistance requires a high level of self-awareness. For example, if you’re resisting because you’re worried that the change will make you look incompetent, you can create a learning plan for the new skills you will need in order to be successful. Or, if you’re concerned that the change will interfere with your autonomy, you can ask the people leading the effort how you can be involved in the process. 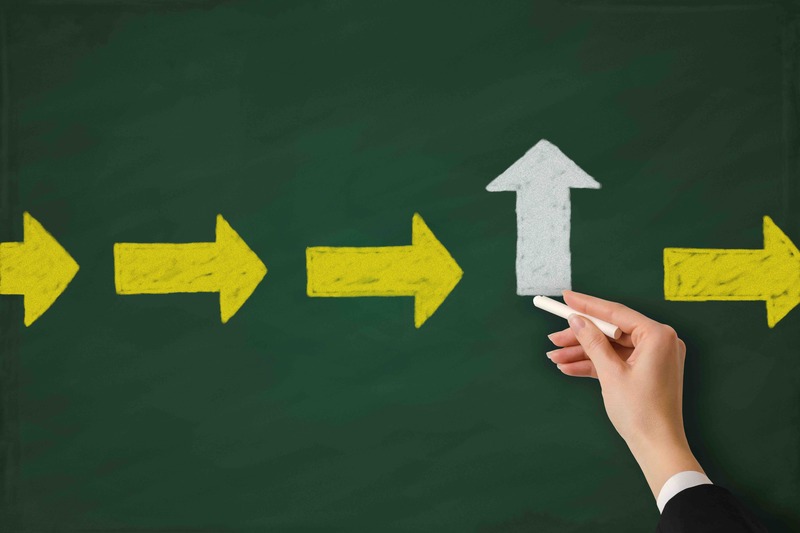 Even if you don’t like the direction the organization is moving, being involved in the implementation may help you regain a sense of control and reduce your urge to resist. Question the basis of your emotional response. Our emotional reactions to change often reflect our interpretations – or “stories” – that we convince ourselves are true. In actuality, our stories are often subconscious and seldom in line with reality. Ask yourself: What is my primary emotion associated with this change? Is it fear, anger, frustration? Once you identify the emotion, ask what that’s about? What do I believe to be true that’s making me angry/fearful/frustrated? This type of questioning helps to illuminate the stories driving our emotions and influence our perceptions. As an example, a senior executive in the transportation industry identified her intense emotional reaction as anger. As she continued to question the basis of her anger, she discovered an underlying story: she was powerless and a victim to the impending change initiative. With this new awareness she was able to separate her emotional reaction and “story” from the actual events. This allowed her to identify several options to take on new leadership responsibilities for a major aspect of the change initiative. With these new opportunities to take back her power, her mentality shifted from thinking that the changes were happening to her, to focusing on how she could take on a leadership role that would create new opportunities for both her career and the organization. Own your part in the situation. It’s not always easy to fess up to the part we play in creating a negative situation. A self-aware person reflects on how their attitudes and behaviors contribute to their experience of the change. For example, let’s say that you’ve noticed yourself becoming increasingly and more immediately tense each time you hear of a new change. Practicing mindfulness will allow you to examine your feelings and how they are affecting your attitude. Any negativity or pessimism is going to impact your behavior, performance, and well-being (and not in a good way). By reflecting on how your initial reaction contributes to a negative chain of events, it’ll be easier to adjust your attitude to be more open to considering new perspectives, which will ultimately change the way you react to everything. Turn up your positive outlook: Things may feel a little bleak when you don’t agree with a new change, but studies show that having a positive outlook can open us up to new possibilities and be more receptive to change. Asking yourself a few simple questions will help you think more optimistically. First, ask yourself Where are the opportunities with this change? And then, How will these opportunities help me and others? The ability to quickly and easily adapt to change is often a competitive advantage for a leader. Next time you feel yourself resisting, use the four approaches above to build momentum and psychological energy for you and others. Make the intentional choice not just to embrace change but to positively propel it forward. Kandi Wiens, Ed.D. is a faculty member at the University of Pennsylvania Graduate School of Education in the PennCLO Executive Doctoral Program and the Penn Master’s in Medical Education Program. She is also an executive coach, national speaker, and organizational change consultant. Darin Rowell Ed.D. is the Founder and Managing Partner of FrontierX.Global. His work focuses on providing resources and tools to help executives accelerate success in complex environments. He lives with his wife and two sons in Central America.